COMTECH GREEN ENERGY has the expertise to design, supply and install a range of bespoke solar PV systems that meet your exact requirements. 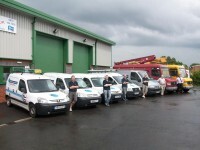 Our service includes everything you need to ensure a successful installation. Comtech Services UK Ltd was established in 1993, to provide a comprehensive electrical service to industry as well as schools and colleges within the United Kingdom. Accreditation soon followed with the NICEIC as an approved contractor for electrical installation and maintenance in 1994. For the last 17 years our company has been carrying out electrical installation works and electrical testing within the commercial, industrial and domestic sectors, nationwide. 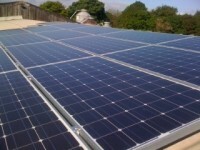 Now also trading as COMTECH GREEN ENERGY, we can offer you a wide range of bespoke solar systems tailored to your property and requirements. 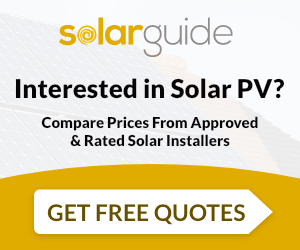 We are fully MCS accredited and members of REAL, meaning we can also qualify you for the governments Feed in Tariff payments. 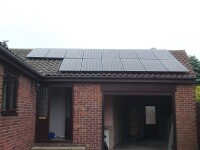 Broad close farm 4 kw system installed at broad close farm silkstone . Broad close farm 02 4 kw system installed at broad close farm silkstone . 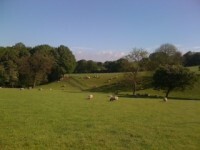 Broad close farm 03 some sheep ! Mr burgess - doncaster - 002 sanyo panels - with black outer edging to give a more aesthetic finish . 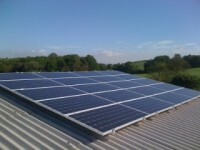 Comtech Green Energy are MCS accredited engineers who supply and install Solar PV. 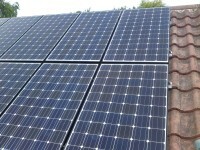 For similar installers in this area please visit the Barnsley solar page.